The holidays are synonymous with overeating. After the big meals are over, countless Americans find themselves sitting on the sofa, belt unbuckled, and the top button of their pants unhinged. 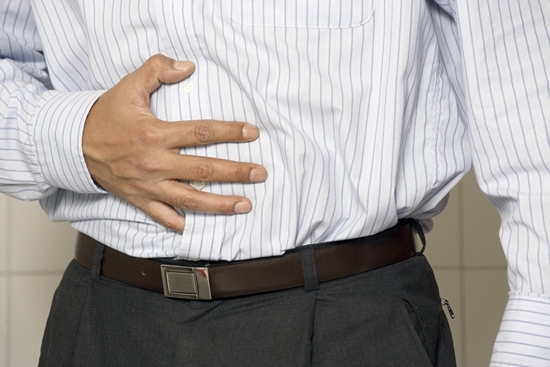 This overeating also leads to another issue: indigestion. To battle indigestion, people often reach for an effervescent medication to help their stomach settle. Effervescent medications are dissolved in water and drank. They are usually antacids, painkillers and supplements. However, a new study published in the British Medical Journal indicates effervescent medications may not be safe and can increase the risk of heart attack, stroke, and cardiovascular problems. This is because effervescent medications contain sodium. Depending on the dosages and amount of salt already in your diet, they can create problems for users consuming more than the recommended daily sodium level. Compared to people taking the same drugs in another form, users of effervescent drugs have a 20% greater risk for a heart attack, stroke, or dying from a vascular complication. Furthermore, they were seven times more likely to develop high blood pressure or hypertension. In terms of natural remedies for heartburn, the jury is still out. A product called Iberogast, a combination of a number of herbs, may help. However, it contains peppermint, which can be an issue for people with more severe gastro-intestinal issues. Melatonin, a sleep supplement, has also produced mixed results. Some other ideas include chewing gum because it causes you to produce more saliva to act as an acid buffer. In addition, the frequent swallowing helps push the acid causing heartburn down and out of your esophagus. Ultimately, the best way to reduce heartburn is to watch what you eat. Try to stick to manageable portion sizes and stay away from high-fat foods, soda, carbonated beverages and citrus foods. It’s important to note that the results of the BMJ study are mainly of concern for people who take the maximum recommended dose on a daily basis for their pain or indigestion. People who use it intermittently won’t be at the same risk because the sodium intake isn’t consistent. However, it’s always a good idea to monitor sodium intake and know that it can be hidden in over-the-counter medications. Roberts, M., “Salt in Medicines ‘Poses a Health Risk,” BBC News web site, November 26, 2013; http://www.bbc.co.uk/news/health-25091741, last accessed November 27, 2013.